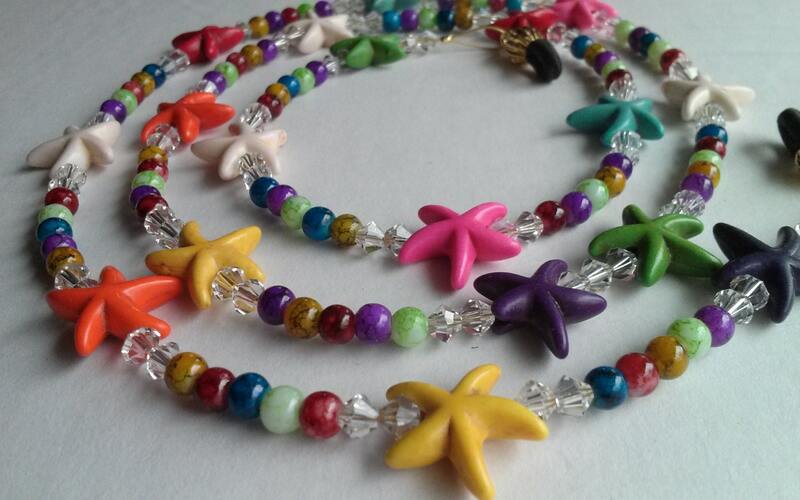 Are you a starfish lover, or do you know somebody who is? 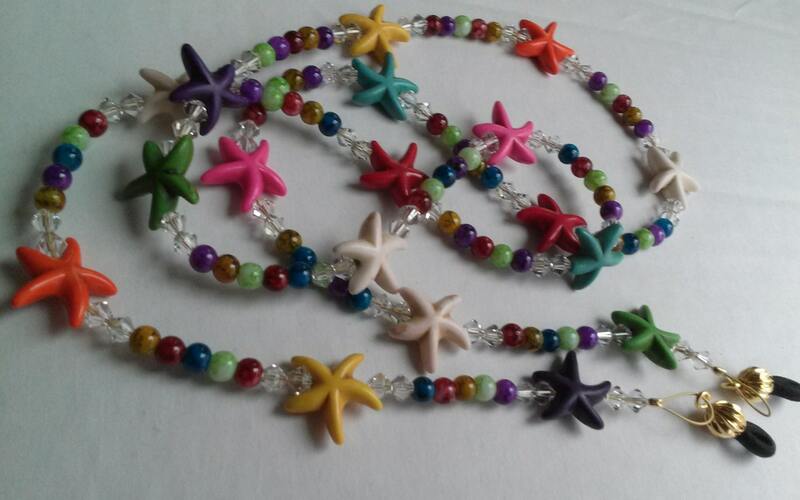 This eyeglass chain is such a unique gift idea for that beach person in your life! 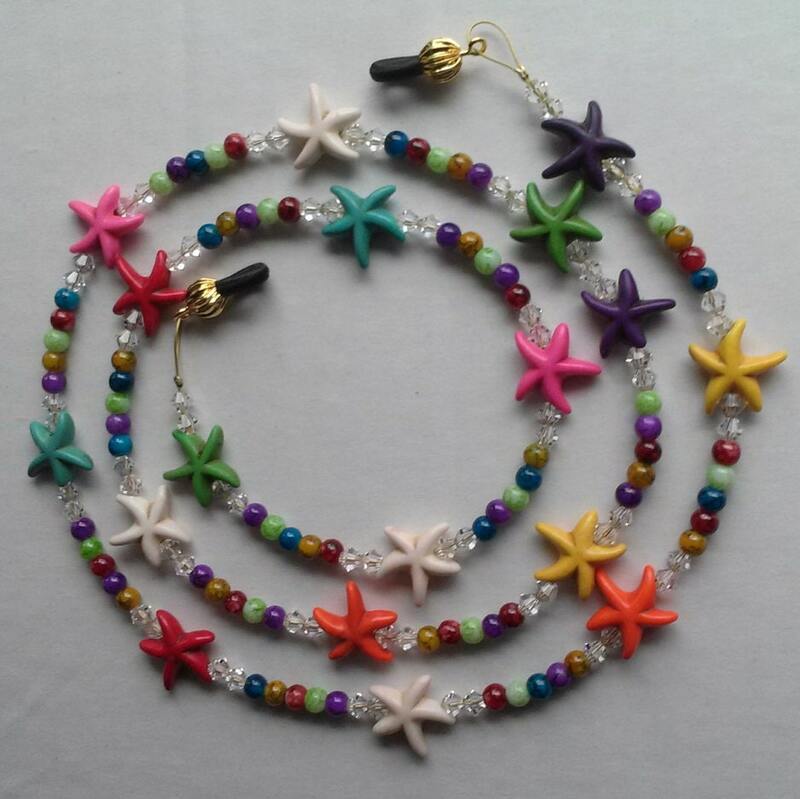 It has it all...adorable starfish, colorful glass beads and wonderful clear Swarovski crystal bicones that will sparkle like no other! A touch of all the colors in the rainbow, it is sure to match whatever you wearing too! This is an original design created by Michele of MichelesAManoDesigns. Please note: Colors used are as pictured. Color order may vary.